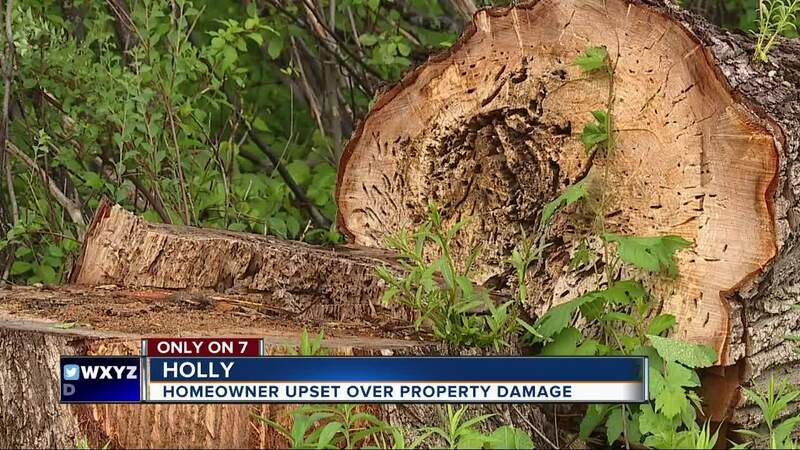 Thousands is what one homeowner in Holly estimates it will cost to repair damage done to her property preparing for updates on Tripp Road. Rachel Collins said back in March work began all along the properties on Tripp Road to prepare for Oakland County’s $2.2 million project to repair the road. Before the road work could begin, Consumers Energy utility lines had to be moved. Collins’ said that was when the damage started. Trees ripped up, lawns destroyed, wetlands disturbed, that’s what Collins said you’ll see all along Tripp Road now. “I cried when I came home from work and saw all these trees down. And there's no way to replace them, so at this point they just need to be cleaned up,” Collins said. But she’s having trouble finding out who’s job it is to clean it up. 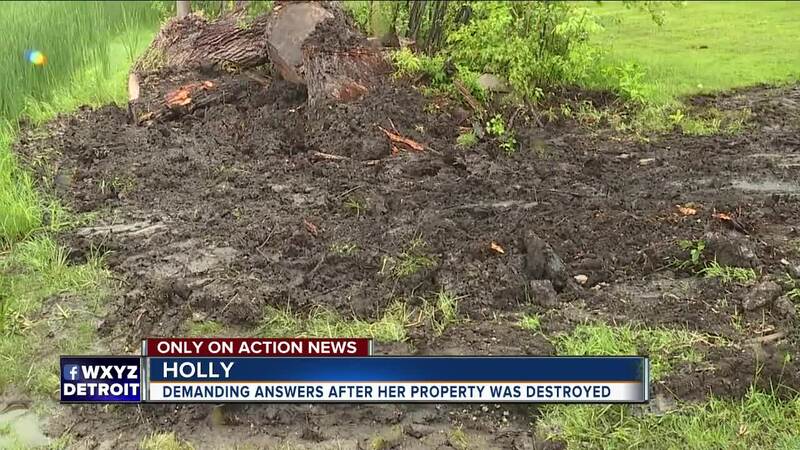 These trees were removed by the Oakland County Road Commission as a necessary initial step to accommodate the reconstruction of Tripp Road in Holly. Consumers Energy then followed with a project to relocate the natural gas main and services. Oakland County Road Commission representatives said that whoever is to blame, they will make sure the properties are cleaned up.